Short but beautiful Class I trail in Montecito, southeast of Santa Barbara, near the Biltmore. 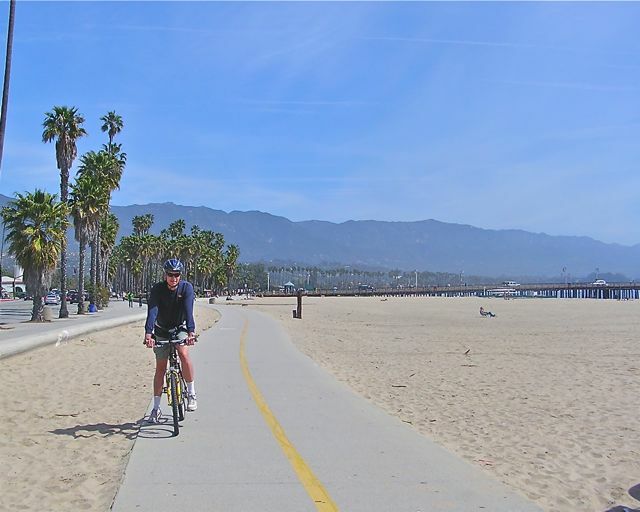 A combination of Class I and Class II routes take the rider from Santa Barbara to charming Carpinteria. See page 64 (Ride SB1 – Option 2). Montecito is the land of Oprah Winfrey, and more recently Ellen Degeneres and Portia de Rossi. 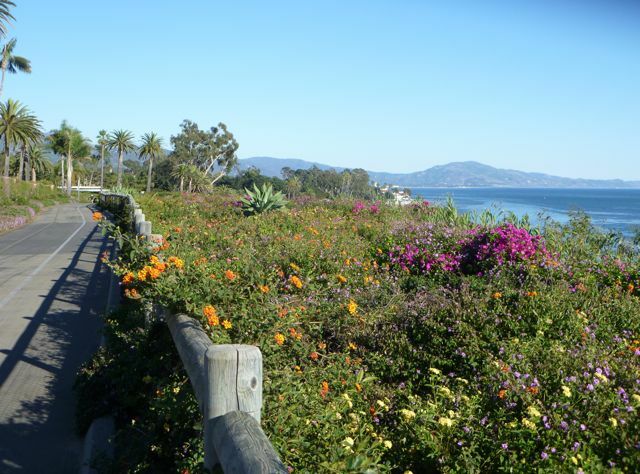 Cabrillo Beachway Trail, Santa Barbara. Link to destinations north and south along the coast. See maps on pages 61 & 65.